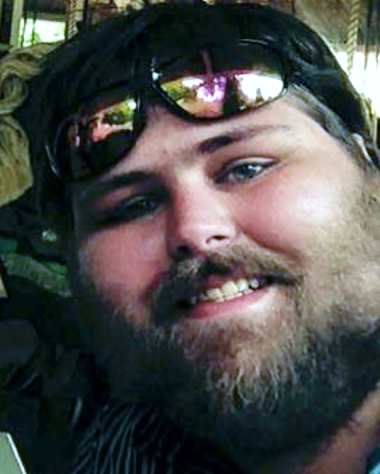 Carl Robert Wennerstrand Talbot, 30, of West Haven, passed away on March 21, 2019. Born on May 5, 1988 in New Milford, he was the son of Colleen (Wennerstrand Talbot) Lord and Robert Francis Talbot, Jr.
Robby was our big, gentle teddy bear, a genius and poetic soul who advocated for important social issues affecting his community and was whole-heartedly devoted to his family. He was loved by every person he met for his smart and hilarious sense of humor and unconditional love for people of every background and culture. Robby was well-known and involved in the New Haven music scene and inspired many people in this area. Despite his mental health challenges since childhood, the brilliance of Robby was in his unique ability to always find his way back to us. Robby was predeceased by his grandmother, Gael Lord (Grambird) and his uncle, David Decker. He is survived by his siblings, Erin Gael Talbot and Kevin Christian Talbot; grandparents, Carl Wennerstrand, Robert and Lois Talbot; aunts and uncles, Anne and Serge, Jill and Mark, Lory and Rick, Lois and Peter, Jimmy and Laura; cousins, David, Adrianna, Tyler, Michael, Julia, Daniel, James, Matthew, Adam, Liam, Mackenzie, and Mylan; and many more extended cousins and loved ones who will hold ‘Ruby’ in their hearts forever. The family will receive friends on Saturday, March 30, 2019, from 12 p.m. to 4 p.m. at the CODY-WHITE FUNERAL HOME, 107 Broad St., Milford, CT 06460. Immediately following a Prayer Service will be celebrated at 4 p.m. at the funeral home. In lieu of flowers, memorial contributions may be made to https://www.gofundme.com/talbot-memorial-fund-for-mental-health-advocacy.